What could’ve been an unfortunate turn of events has worked in Brandi’s favor. 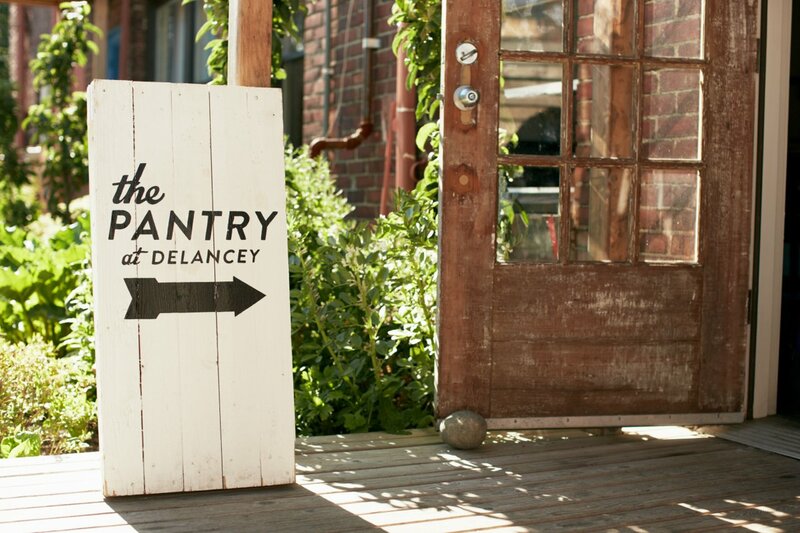 Four years ago, Seattle’s restaurant Delancey was opened, a spot best known for their wood fired pizzas. They were looking for a pastry chef just as Brandi was hunting for a job, so the transition was seamless. About a year after, the back space attached to the restaurant opened up and Brandi knew she wanted to make it her own, calling it The Pantry. “I was grabbing onto that feeling that attracted me to the culinary world—the idea of gathering and building community through food,” she explained to us. Once they secured the space, the sky was the limit—they wanted to host dinners, classes, camps and even movie nights. “We wanted to get people together to see what stuck,” she explained. And as it turned out, the classes stuck on and are continually selling out. “I try to host the kind of classes I would want to take. We keep things as seasonal as possible, using farmers that we know,” she said of their goals. For instance, they host a series of classes on baking pies—this month they’re including berries, and in September they’ll highlight stone fruits. At The Pantry, they’ve adopted the mentality that you don’t really need a recipe to cook. Instead, you’ll benefit more by understanding why something is cooked the way it is and learning specific techniques. From there, much of it becomes intuitive. When it comes to attending classes herself, you may catch Brandi in cheese making or pickling classes. She’s always thrilled to pick up on new techniques, regardless if they’re something she’ll use day to day. Check their schedule at least a couple of months in advance if you’re interested in attending a class! For those of you looking for a good alternative to a dinner date, we definitely recommend an evening at The Pantry—you’ll get to eat whatever’s made that night, and there’s plenty of wine being poured too!